I can be a... 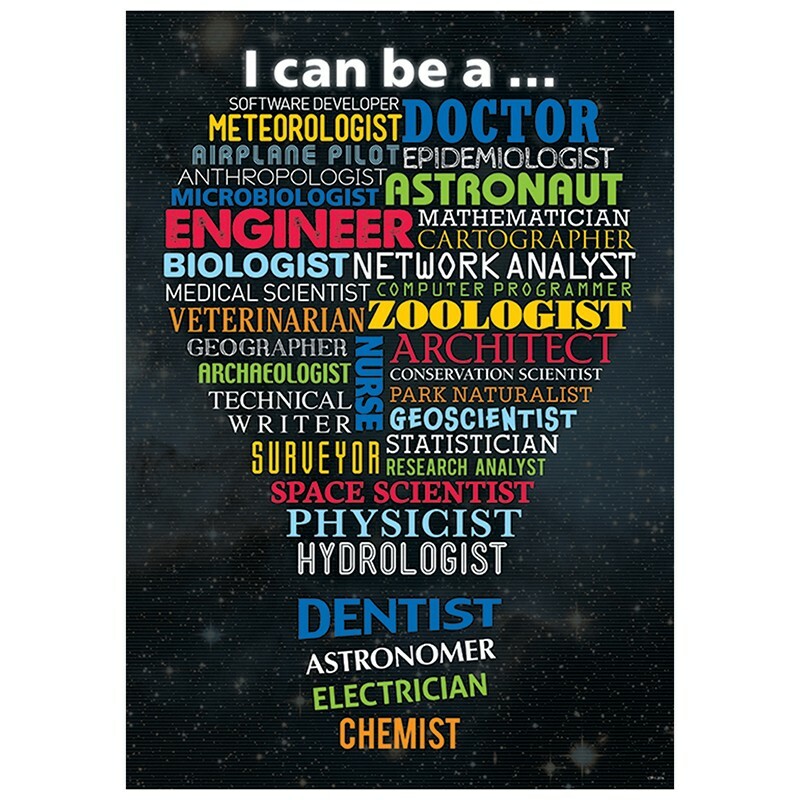 Through science, technology and math, many careers are possible. Here are just a few: software developer, doctor, meteorologist, astronaut, dentist, architect, veterinarian, airplane pilot and biologist. This poster shows many more to inspire your students.